Sweet & creamy for a world of exotic creations. 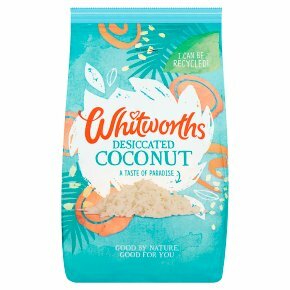 Suitable for vegetarians.Our Desiccated Coconut is light, crisp and naturally sweet. It's then finely shredded ready for you to add that special taste and texture to your creations and transfer you to a tropical destination!